Lounge. Twee Pop. Tropicalia. Easy Listening. Jazz. Funk. Giallo. City Pop. Indie Pop. Baggy-Madchester. Ye-ye. 60’s Soul. Video Game Music. Downtempo. House. Nu-jazz. Art Pop. Ambient Pop. Library Music. Beach Rock. 90’s Alternative Rock. Electronica. Every one of the genres and ideas listed above were either initially, or eventually, incorporated into the sound of Shibuya-Kei. 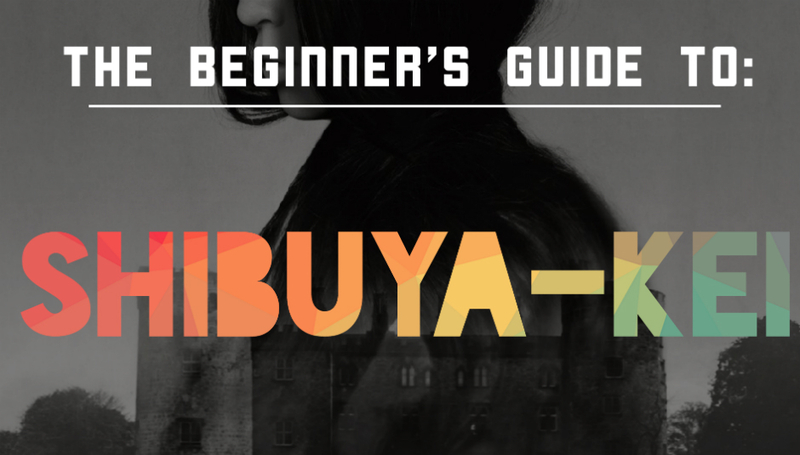 To call something “A Beginner’s Guide To: Shibuya Kei” is to emphasize the ‘Beginner’ part of that statement. Shibuya-kei’s cultural moment, and it's ensuing cultural monopoly, is a sprawling epic which describes Japan itself throughout the 1990s. To tell that story though, you have to go back even further. At the end of WW2 Japan was a broken state. Their industry and institutions were utterly devastated, and worse yet, their very sense of themselves was brought to its knees. The Jewel Voice Broadcast quite literally disintegrated every bit of identity and purpose that the Japanese empire had set out for itself. But from destitution rose vigor, and through the ’60s, 70’s and 80’s Japan experienced an almost unprecedented rate of economic growth, growing hand-over-fist until the country stood as one of the world’s most formidable economic players by the mid-80s. Gone were the bombed out neighborhoods and listless feelings of defeat. 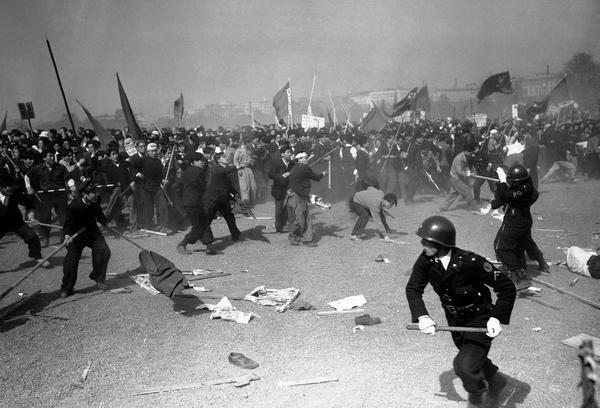 The nation had regained its feet, but not necessarily its identity. Questions remained of what it meant to be Japanese. Not just in a limited sense, but in the totality of Japanese life, as western culture and multi-nationalism began pouring into the country. Something which many militant Japanese resisted. Obsessions with jazz music and French ye-ye began to form communities of Japanese urbanites with complex musical palettes and far-out postmodernist notions of Japanese identity. Eventually, at the end of that long existential struggle in the waning years of the 1980s, a decade which had also birthed shibuya-kei’s parent genre City Pop, the genre of Shibuya-kei arrived. Named after a small burrow of Tokyo, the Shibuya district (the name literally means “Shibuya-style”) where the genre had started, Shibuya-kei initially fused French ye-ye, jazz, bossa nova, lounge music, funk, and 60's psychedelic pop into a futuristic retro-pastiche. The inevitable conclusion of Japan’s postmodernist culture carnivores. During City Pop’s waning years in the urbanite boroughs of Tokyo, something was brewing. As lounge music and easy listening grew in popularity small Japanese variations were being added into the mix until suddenly lounge wasn’t there anymore, and instead Shibuya-kei remained. Determining when exactly that transition to Shibuya-kei occured is as difficult as describing what Shibuya-kei itself is, a struggle which is only further marred by the fact that when and where it started it is more of question of gradience. The question entails a very personal determination of what the core elements of Shibuya-kei are, and that determination could then potentially involve three or so distinct artists and time frames. The most likely answer though, and the most universally agreed upon one, is that Pizzicato Five are the prodiginators of the genre. Even limited to that one name though it's a struggle to say when exactly Pizzicato Five became a Shibuya-kei band. My highly unpopular opinion is that the group never really achieved the sound they were going for until 1988, three albums into their career, though the popular convention is that their debut is Shibuya-kei’s start. Their first album Couples, from 1987, has that central quality of twee pop mixed with easy listening and a retro aesthetic, but if you ask me it doesn’t quite feel like Shibuya-kei yet. Couples, along with it’s sister album Pizzicatomania!, feel so enslaved to its retro qualities that it could earnestly be mistaken for the classic 1960’s easy listening music it is parroting. It's a slave to its own aesthetic, where as their follow-up in 1988, Bellissima!, has a quality of life and exuberance to it that makes it feel wholly unique. The bright pop choruses and infectious retro melodies, which incorporate a strong element of soul, are a wholly unique revelation despite the album itself being a bit lacking, oft considered one of Pizzicato’s weakest efforts. The following year, 1989, as the genre began in earnest, an underground Shibuya-kei arms race began. Starting with the release of Pizzicato’s best album to date, On Her Majesty’s Request, which melded satirical 60’s spy concepts and orchestral retro pop with twee, and then followed-up by the debut album of fellow Shibuya-kei originators Flipper’s Guitar. 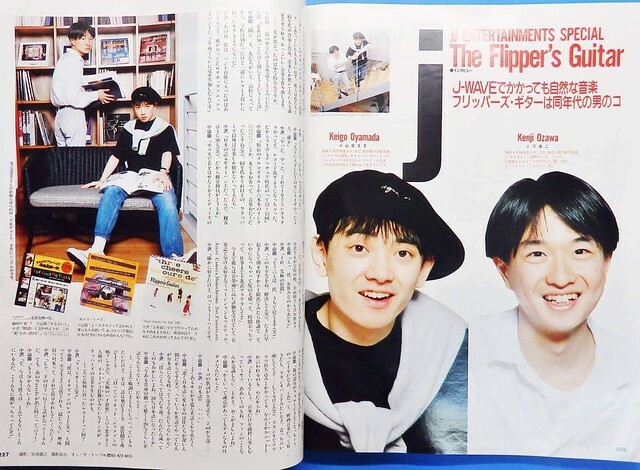 At the time of their debut, Three Cheers For Our Side, Flipper’s Guitar were made up of five members, but the group would shrink to the duo of Keigo Oyamada and Kenji Ozawa after their debut’s commercial failure. While their debut effort would land as a bit of a commercial flop it would grow to an influential and legendary stature in the coming years, and the release of their second effort in 1990, Camera Talk, would herald the explosion of Shibuya-kei’s popularity. It’s first single 'Young, Alive, In Love' would become an indie smash after its placement on a popular TV show, sending the group onto national tours and TV adverts. From that moment Shibuya-kei was a phenomenon, and while just one year before it was the passion project of two small bands, by 1994 it would become a music-industry wide concept. An idea which was reinvented and contorted every month and moment. Since Flipper’s Guitar had already won the race to commercial success, which Pizzicato Five would also achieve with their 1991 album This Year’s Girl, the challenge now was to incorporate sampling and alternative dance music into Shibuya-kei, two concepts which would become central to the genre in the coming years. Cibo Matto - Viva La Woman! Towa Tei - Future Listening! Flipper’s Guitar would again just barely beat their competition to this dance revelation, releasing their dance-heavy Doctor’s Head World Tour a short two months before Pizzicato Five’s This Year’s Girl, an album which also incorporated new dance elements. Despite that common thread, the two albums actually offered up quite different narratives of where Shibuya-kei could go. DHWT plunged into the deep-underground sounds of shoegaze, dream pop, and neo-psychedelia, while TYG offered up a more sleek and traditional continuation of lounge pop into this new dance-oriented world. Which competing vision “won” is really a matter of angle and preference as the next five years would see a massive explosion of Shibuya-kei into both directions. The core rivalry of these two bands which had driven the genre for these infant years would unfortunately come to an end though. In 1991 Flipper’s Guitar would break up, halting the band’s growing momentum. In the same year, Original Love would release their second album to significant popular success, Fishmans would release their Shibuya-kei/Dub/Reggae fusion debut album, and Havana Exotica, the precursor to the highly influential Buffalo Daughter, would release their debut album as well. Which is to say, the genre was beginning to split into a whole lot of different directions. Popular groups were beginning to toy with the sound by fusing it with the still highly popular world of city-pop and emphasized the melodic choruses and upbeat rhythms. Indie kids were pulling the genre into more dance emphasized worlds with both electronic and reggae, while rock-centric groups were fusing it with noise-pop and indie-rock. By 1994, Towa Tei would release his debut album and magnum-opus Future Listening! which brought together the new worlds of Shibuya-kei and downtempo music, combine them into something not too far removed from AIR’s Moon Safari almost four years before that album was released. The lead single from that album, 'Technova', would also eventually be sampled by A Tribe Called Quest for their album The Love Connection, and it provided a breakthrough moment for both genres as downtempo exploded onto the Japanese underground, and into the DNA of Shibuya-kei. That same year Kenji Ozawa of Flipper’s Guitar would release his popular and critically adored second album Life which blended Shibuya-kei and ska music, while his fellow bandmate Keigo would release his own debut album, The First Question Award, to an equally warm reception. The First Question Award furthered the former duo’s exploration of progressive pop, dance music, and indie pop in a way that would eventually lead to the genre’s culmination a few years later. At the time it was unclear who would be the duo’s most successful member, as the competition between them became a matter of meaningful discussion. By 1995, Kahimi Karie had released her breakout EP My First Karie, the third EP made in collaboration with Keigo Oyamada as the primary producer, lending weight and significance to the emerging world of female singer/songwriters in the Shibuya-kei space. Importantly, this would including Takako Minekawa, who would release her debut album the same year, Hi-Posi, whose debut album would also arrive, and Cibo Matto, whose debut album Viva La Woman! would arrive the following year. Viva La Woman! would represent one of the genre’s first big international crossover moments, garnering reviews from big publications like Pitchfork, Entertainment Weekly, and Spin. The group's abstract blend of art-pop, Shibuya-kei, and trip-hop was artful and forward thinking, garnering comparisons to Serge Gainsbourg, as well as inciting embarrassing put-down’s like ‘bitchy rap sounds’ by none other than Pitchfork's founder Ryan Schreiber. Hope he’s embarrassed about that one, but regardless, the site took it down after Pitchfork achieved some new found success a few years later. The album was a masterstroke of progressive electronic sounds, and began uncovering Shibuya-kei to western audiences. It was also an important crossover that was fundamental to what was about to happen next. Other prominent releases include Buffalo Daughter’s debut, Pizzicato Five’s Bossanova 2001, Momus’ The Philosophy of Momus (A Scottish experimental musician who transplanted to Japan in the 90s and became an important figure and producer within the Shibuya-kei scene), Sunny Day Service’s third album, Tokyo, which abandoned their former Shibuya-kei style and turned them into indie rock sensations, and the Sushi 3003 compilation by Bungalow records. In 1997, Cornelius would release Fantasma. Like My Bloody Valentine’s Loveless or Fishmans’ Long Season before it, it so perfectly captured, elevated, and honed the sounds of its genre that it inadvertently also killed it. Fantasma left no room to explore or innovate within the core sound, or at least, no passion in the independent music scene to do so. Shibuya-kei would soon begin scattering to the winds of electronic, art pop, and J-pop in just a short year’s time. Making “classic”-style Shibuya-kei after Fantasma would make you a retro act, it was that powerful of a line. With its heady psychedelic production and schizophrenia sense of wonderment, it both cannibalized Shibuya-kei and also turned Cornelius’ focus onto more international genres like folktronica, indietronica, and progressive pop, genres which would be the primary direction of focus for Cornelius’ solo output following his Shibuya-kei magnum opus. It would become an international sensation in the world of independent music, gathering ecstatically glowing reviews the world over, and even better ones 20 years later for it’s highly anticipated reissue, one which reaffirmed its position as one of the most substantial albums to have ever come from the genre, and from the country as a whole. Around the same time, Pizzicato Five would also release their own genre-cracking magnum opus. In keeping with the tradition of always being a moment after Keigo, Happy End of the World would come out just one month after Cornelius’ Fantasma. The album incorporated elements of drum and bass as well as breakbeat to their still very traditional lounge pop songwriting, simultaneously reached back to the genre’s now waning roots, as well as speaking to its future. Featuring collaborations from a wealth of artists (including Keigo Oyamada), but as usual, masterminded by Pizzicato Five’s founder Konishi Yasuhara, it would stand as the group’s last monumental statement before their break-up in 2001. Not before the group could release a string of fan-pleaser albums almost every year from 1997-2001 which were pleasant, though inessential. In this same period, Fantastic Plastic Machine would release his second album Luxury, further expanding on his debut album’s fusion of house music and Shibuya-kei, pushing the Towa Tei brand of downtempo Shibuya-kei onto the dance floor, with higher BPMs and repetitive grooves, but still deeply indebted to Shibuya-kei and bossa nova. Ironically the album, despite its deep appreciation of Shibuya-kei, spearheaded a very real movement in the electronic dimension of Shibuya-kei away from the genre itself and towards the yet to be formed genre of Picopop, a genre which would take shape in the coming few years as a cutesy form of dense electronic music, lead by former Shibuya-kei groups like Capsule and Hi-Posi. The 2001 break-up of Pizzicato Five would end being a prophetic statement as once again Cornelius would change the genre completely that year. Other prominent releases include Takako Minekawa’s Fun 9 produced entirely by her then husband Keigo Oyamada (which continued in the sonic style of his Fantasma period), Buffalo Daughter’s incredibly noisy New Rock, Kahimi Karie’s K.K.K.K.K., and Hideki Kaji’s Tea. In 2001, Cornelius would release Point, an album which further embraced his growing infatuation with folktronica, pure indie pop, and art pop. Qualifying as Shibuya-kei in only the most abstract and contextual manner. The music no longer sounded like Shibuya-kei, but then again, what did Shibuya-kei even sound like? The album would be labeled as Shibuya-kei solely because the man himself had been an artist in the genre for so long, but the spacey guitar and synth-heavy production sounded more like Stereolab or The Notwist then any actual Shibuya-kei album. The album further emphasized his signature stereo-panned production style which he had played around with on Fantasma, as well as his previous albums. On the song 'Point Of View Point', locations such as ‘left’, ‘right’, and ‘up’ are called out by Keigo while being hard panned in the mix to those locations, giving a fully 3D headphone experience and dropping the pastiche and artifice of his early work in exchange for something tangible and locatable, placing the listener into a genuine sonic world. Cornelius would turn his back on the genre he made, revolutionized, and then eventually killed, fully separating himself from its name. Of course, the genre would live on, but without his influence, or perhaps from other natural causes, it would only stagnate and disappear throughout the country. Electronic acts would embrace the new worlds of electro-pop and picopop, while indie/rock groups would latch onto the newer trends of jazz-pop or noise-pop. Groups like Capsule slowly morphed the sounds of Shibuya-kei into picopop, and then into electro-pop and electro house under the watchful eye of producer Yasutaka Nakata, who would eventually produce for massive J-Pop artists like Perfume and Kyary Pamyu Pamyu. This new sound spearheaded by him would go on to become the definitive sound of J-Pop in the 2010s, influencing western indie scenes like PC Music/Bubblegum Base, and other international pop scenes like K-Pop. On the more indie side of things, Shibuya-kei gave into noise-pop and jazz-pop. One or two prominent groups, primarily Lamp, would find a nice crossover between jazz-pop, Shibuya-kei, and bossa-nova, putting together beautiful albums that were less concerned with artistic challenge and contemporary significance as they were with patient and delightful song-writing. Their second album Koibito He has become an independent international hit, finding huge fandoms through online music forums and online music ranking sites. The group would remain active and unchanged throughout the next decade and into the next, releasing an album just this year (as of publishing). Other prominent releases include Halcali’s Halcali Bacon, which combined Shibuya-kei with hip-hop and pop rap, Plus-Tech Squeeze Box’s Cartooom!, the soundtrack to the video game Katamari Damacy which brought Shibuya-kei to international gaming audiences, and bo-en’s Pale Machine, which was one of the first western electronic albums to show strong Shibuya-kei influence. Shibuya-kei persists today only in the most fragile sense, with just a few retro acts evoking its sound for nostalgia and simplistic aesthetic ends, but in concept it is timeless. The postmodern sampling and retro fetishism that defined its sonic ideas live on through the collective multinationalism of Japan’s art, which both draws from without and within simultaneously. Striving for a perfect balance between trends and personal expression that is endemic of the Japanese cultural landscape.